I read this article and wanted to share it with you: Reading Can Change a Child's Life: A Reflection on Dr. Ben Carson https://blog.sonlight.com/reading-can-change-a-childs-life-a-reflection-on-dr-ben-carson.html. Regardless of what you think of his politics, Dr. Ben Carson's personal story is an inspiration – the rise of a disadvantaged child to become a world renowned neurosurgeon. As a young boy, a love of reading helped change the course of his life. Of course I'd love a story like that! Carson grew up in a rough neighborhood. He struggled in school and let others have it with his violent temper. His mother, Sonya Carson, had extremely limited resources at her disposal. She had only a third grade education and, by age 13, she was married. 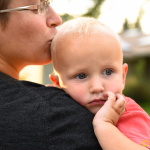 After she discovered that her husband had a secret second family, she was on her own to raise two boys. Though she had never learned to read herself, she knew education would be her children's ticket to a different life. So she took some drastic steps. She put strict limits on the amount of TV her boys could watch. She made them finish their homework each night before they could go out to play. But Mrs. Carson went one step further. She also insisted that the boys read two library books every week and write a report on each one. She examined the reports closely and showed her approval with a checkmark at the top of the page. Not surprisingly, the boys complained about these new rules. But before long, young Ben discovered something. It was kind of fun to read. And reading made him smarter. Instead of feeling like the "dummy" at school, he started knowing things that his classmates didn't. His mother had noticed that ember of curiosity within him and helped fan it into a flame. Books helped Ben see that he really could learn things after all. Mrs. Carson's master plan worked. Ben took off with learning. The book of Proverbs helped him learn to control his temper. After high school, he went on to Yale, and then to medical school. He became a world-famous pediatric neurosurgeon. He figured out how to do incredibly complex surgeries that no one else had done before. So what made the difference for Ben? He didn't have a great school district growing up. He didn't have rich and educated parents. But he did have a loving mother who deeply valued education. He had a growing faith. And he had reading. In a very real way, reading opened the world up to him. Reading sparked a love of books. And that love of books sparked a love of learning. In the same way, Sonlight sparks a love of learning in children. Children are born curious. Just watch an infant stare in awe at her moving hands. Or watch a toddler examining a bug on the sidewalk. Listen to the endless "why" questions of a preschooler. Kids want to know about the world around them. But too many kinds of education quench that curiosity rather than foster it. If learning is dull, boring or full of pressurized testing, young children start to see it as a chore instead of a delight. 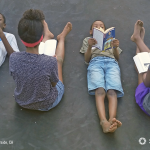 But when they get to learn through reading, conversations, and science experiments (as they do with Sonlight), they keep wanting to know more and more. Sonlight sends kids the message loud and clear: Learning is a fun adventure. 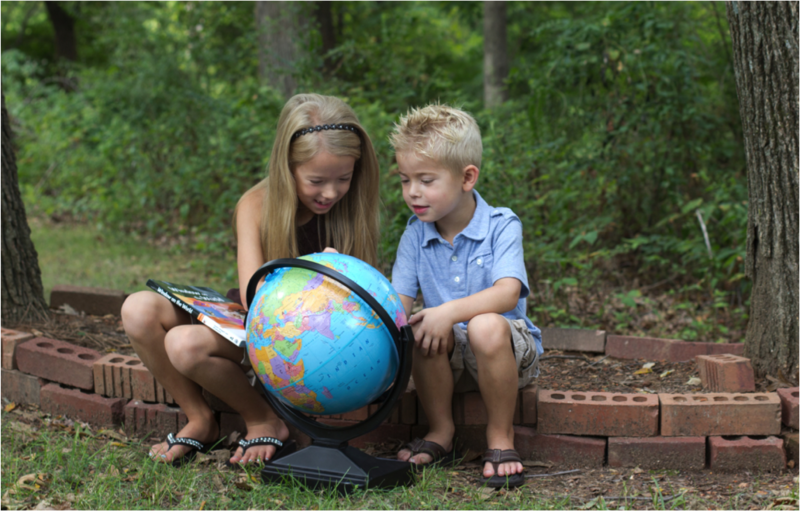 Reading takes them on exciting trips around the world and through history. This globe is a fascinating place. They have what it takes to grow and make a difference in the world. So be encouraged, Mom or Dad. 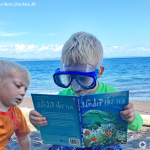 Regardless of your own financial situation or education level, helping your kids love to read is one of the best things you can do for their academic success. Even if they don't love it at first ... even if it takes a few years ... nearly every child who uses Sonlight comes to truly appreciate a good book. And when your children love to read and learn, the world is at their fingertips. So enjoy your Sonlight journey and carry on the good work! My oldest son did not even want to pick up a book before I found Sonlight. Soon after though he would finish one and ask me for another one of "those kinds" of books. He is now a 22 year old that loves encouraging others for the Lord and has his own blog/website. My other children also developed a love of reading. My daughter is currently working on writing a book. She wrote several plays that have been used in Church and Homeschool groups. In fact one of her plays was used on the National Day of Prayer. The group asked her if she would please write them another play for Thanksgiving. She did and it was a hit. 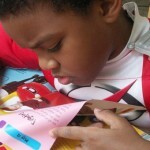 My youngest son has Autism and books were a window for him that we take for granted. Reading also help him with his writing skills. He wrote a comparison paper on the different type of video game consoles. I received so many compliments on his writing. Everyone spoke about how professional his paper looked. I am glad we found Sonlight. Finding Sonlight gave us a chance to read many good books together. We cried together and laughed together. Most of all I love the fact that Sonlight does not shy away from teaching and sharing about God. The books on the missionaries were so encouraging.